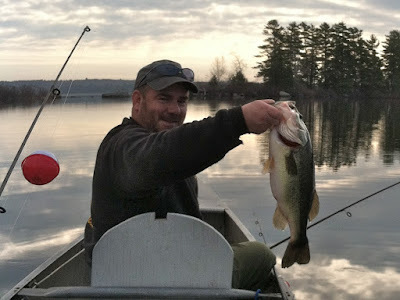 The Maine Outdoorsman: April Fishing Mayhem. . . Pike, Smallies and Large Mouths OH MY! April Fishing Mayhem. . . Pike, Smallies and Large Mouths OH MY! Now there are some serious fish and fishermen..er..and of course Bobber Boy..